The Amish Shaker Side Board carries a quaint New England charm. It has been noted that the Shaker style has an unusually inviting and friendly lure! 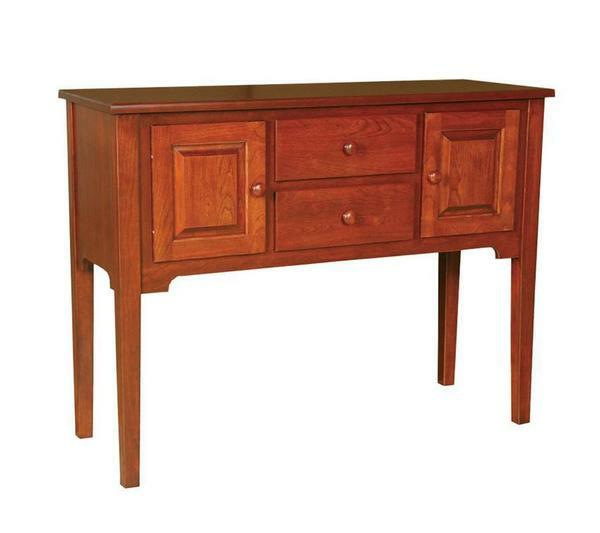 Both warm and gentle, this side board is ideal for a cottage or vacation home. The Shaker style elements of this beautiful side board turn time back to the early American style of furniture making, in a time where machines weren't available and products weren't mass produced, but the human hand crafted everything! Back then the focus was on functionality, and pieces were built to last lifetimes. Even today, each Shaker Side Board on DutchCrafters is handcrafted to order by highly skilled American craftsmen, resulting in a one-of-a-kind piece of the highest quality.